September 30, 2010 - The Boeing Company has been awarded a new multi-year procurement (MYP) contract from the U.S. Navy for 124 F/A-18E/F Super Hornet and EA-18G Growler aircraft. The new contract is valued at $5.297 billion. Under the terms of the agreement, Boeing will deliver 66 Super Hornets and 58 Growlers to the Navy from 2012 through 2015. "The men and women of Boeing are honored to provide the Super Hornet's advanced, combat-proven multirole capability and the EA-18G's unmatched airborne electronic attack capability to the American warfighters serving their nation around the world each day," said Boeing F/A-18 and EA-18 Programs Vice President Kory Mathews. "Procurement of these 124 aircraft through a multi-year contract takes advantage of the full efficiencies of Boeing?s production and supplier operations, which will generate more than $600 million in cost savings for U.S. taxpayers." The new contract is the third multi-year agreement between Boeing and the Navy for production of the F/A-18E/F, the Navy's frontline strike fighter, which delivers forward-deployed air combat capability around the world from the decks of 11 Navy aircraft carriers, including ongoing missions in Afghanistan. The EA-18G, the United States' newest combat aircraft, conducts advanced airborne electronic attack (AEA) missions to support Navy and joint force requirements. The EA-18G is scheduled for its first combat deployment later this year. "Boeing and its Hornet Industry Team suppliers have delivered every Super Hornet and Growler on schedule to the warfighter and on budget for the taxpayer from the first Super Hornet delivery,? said Mathews. 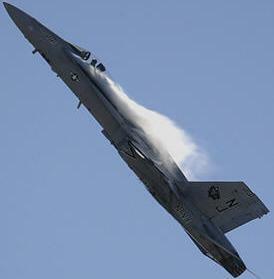 ?The first two F/A-18E/F multi-year contracts generated more than $1.7 billion in savings for the United States. We look forward to continuing to provide unmatched capability and value through this contract." The Boeing EA-18G Growler is the only air combat platform that delivers full-spectrum AEA capability along with the targeting and self-defense capabilities derived from the Navy's frontline fighter, the F/A-18E/F Block II Super Hornet. A derivative of the two-seat F/A-18F Block II, the EA-18G's highly flexible design enables warfighters to operate either from the deck of an aircraft carrier or from land-based airfields. It is replacing the Navy's current AEA platform, the EA-6B Prowler, which has been in service since 1971. The EA-18G joined the Navy's aircraft fleet in 2008, when it was introduced to fleet training squadron VAQ-129.